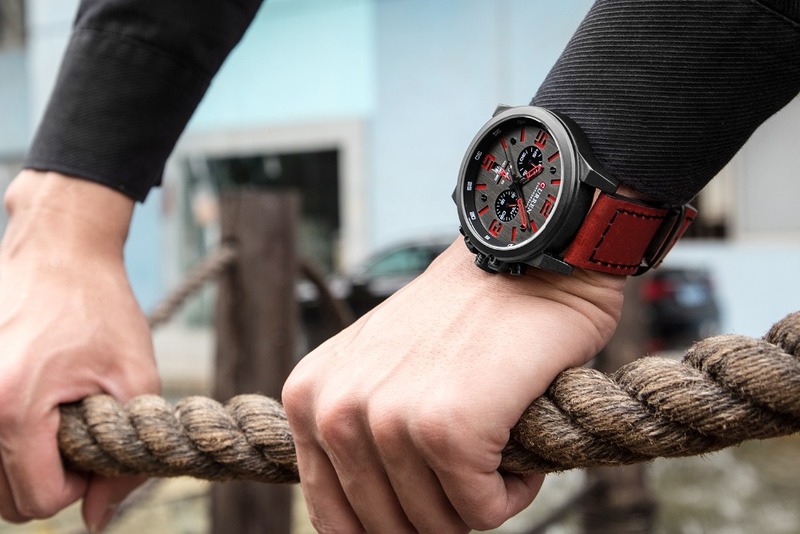 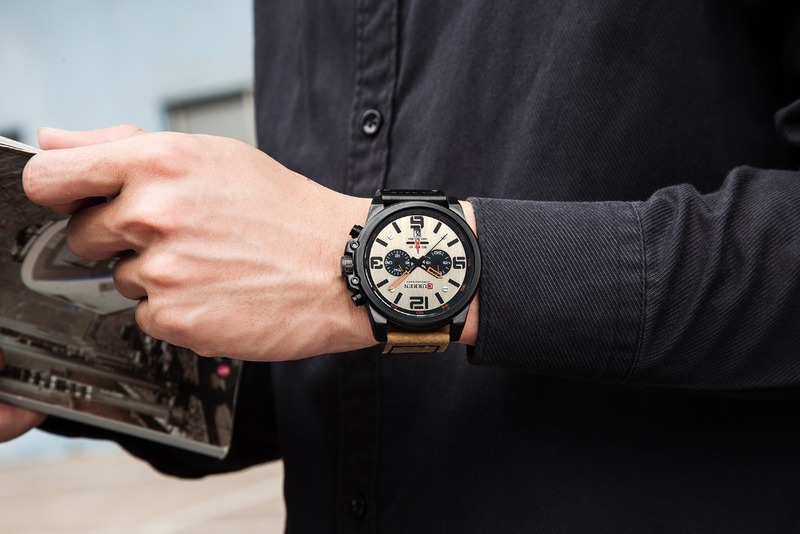 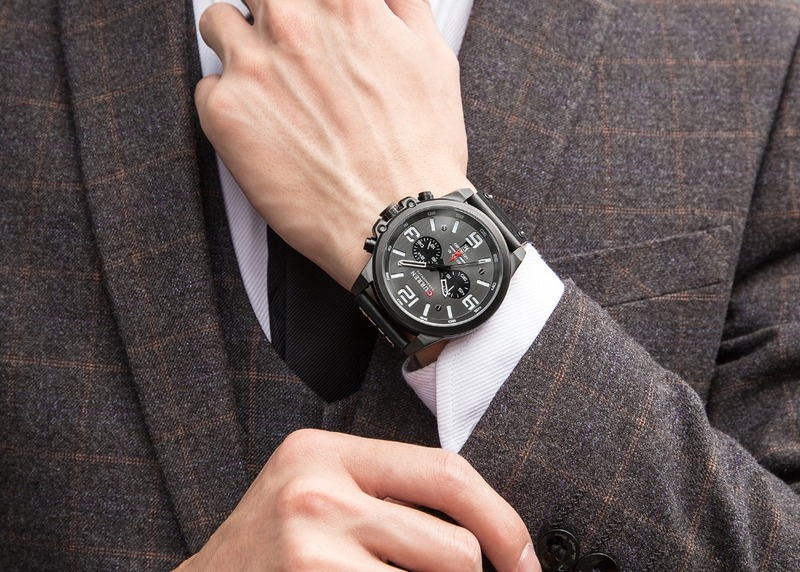 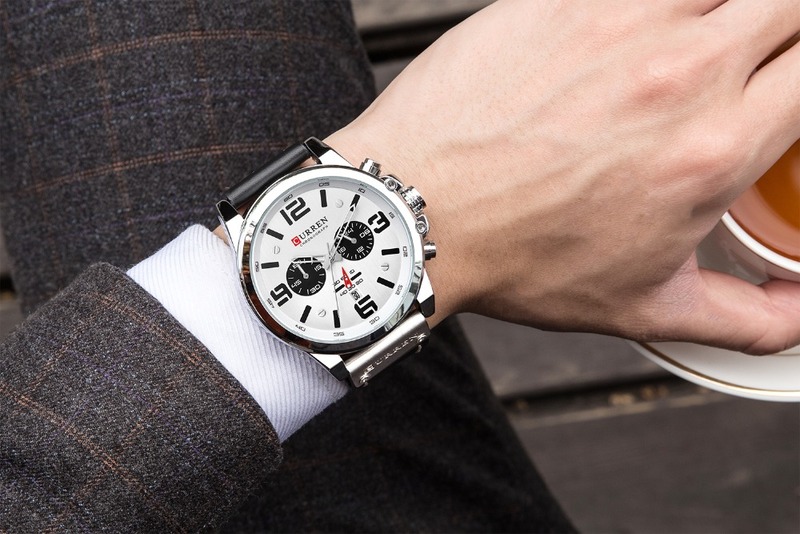 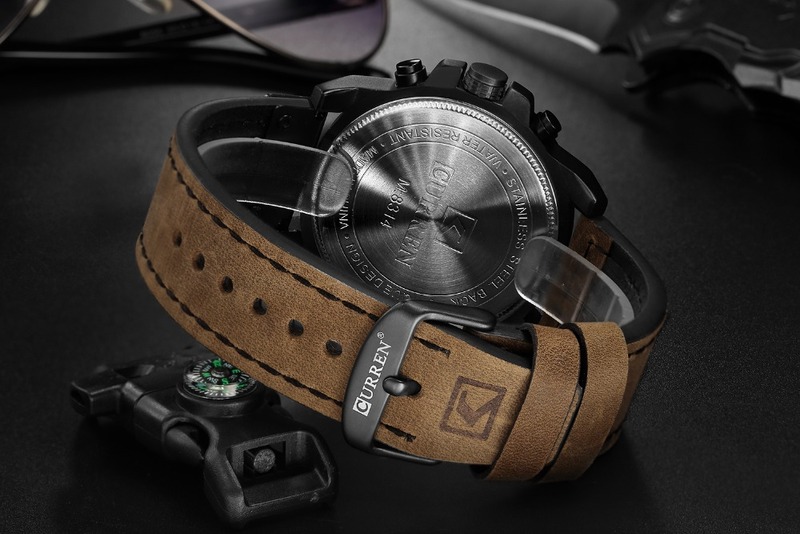 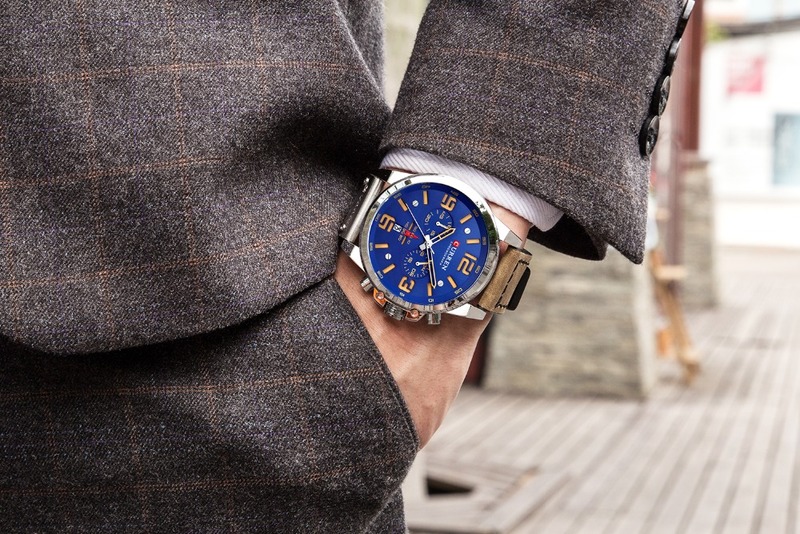 Men's Watches. 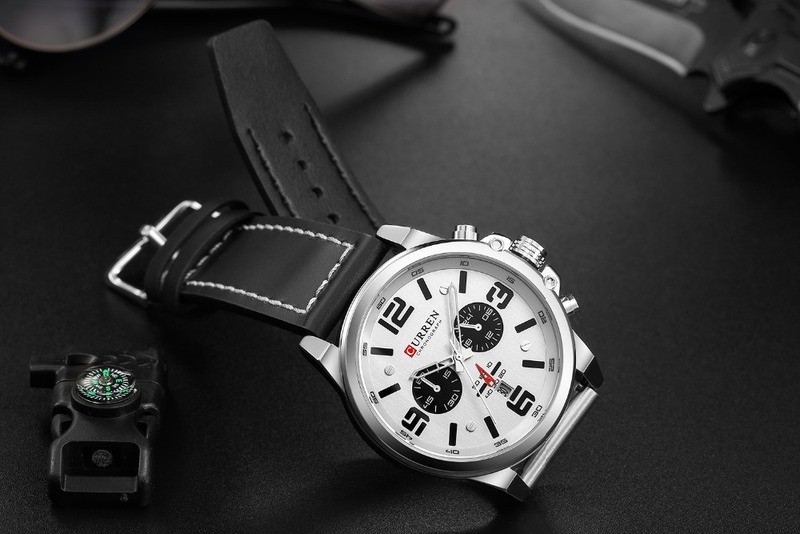 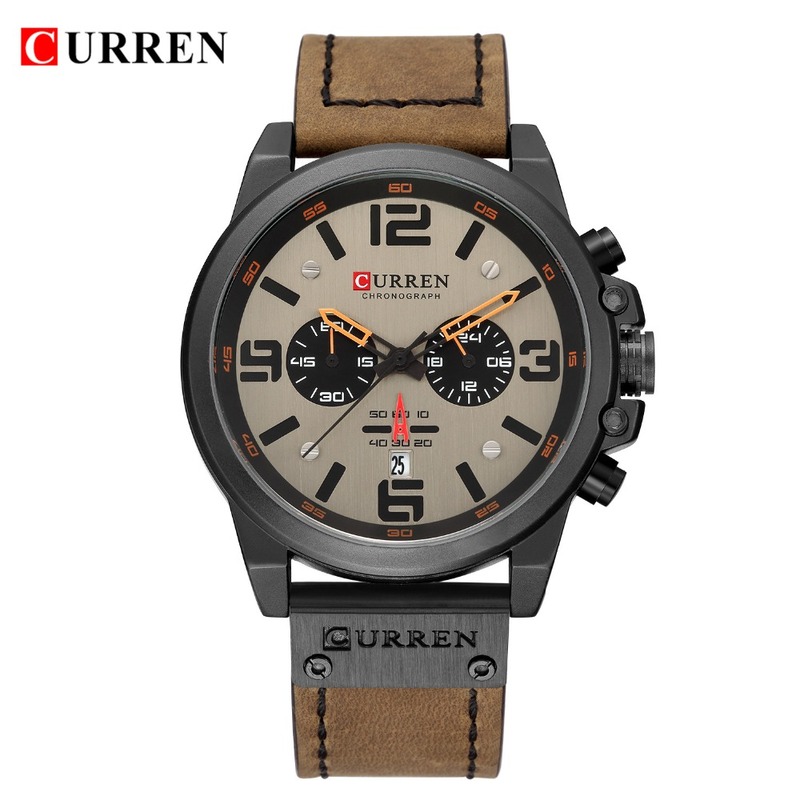 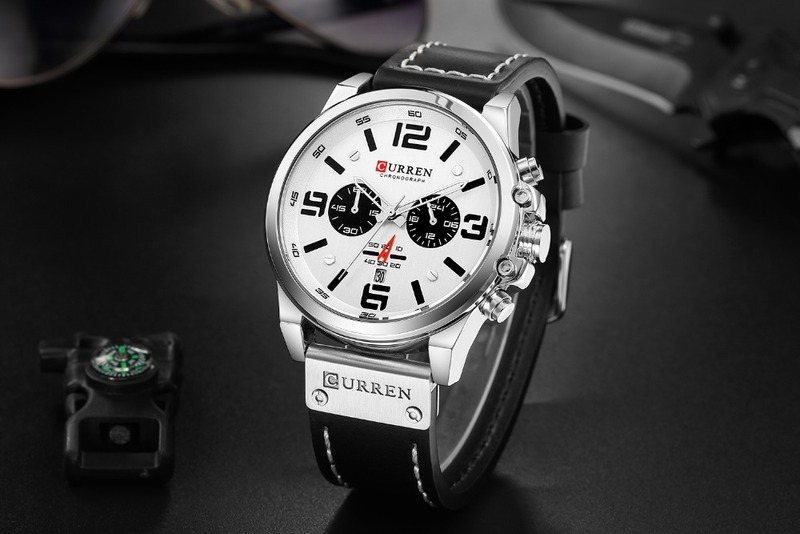 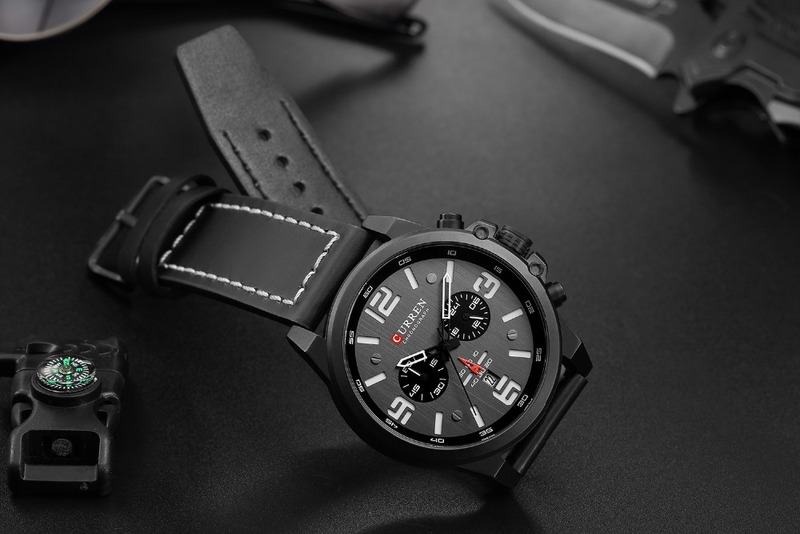 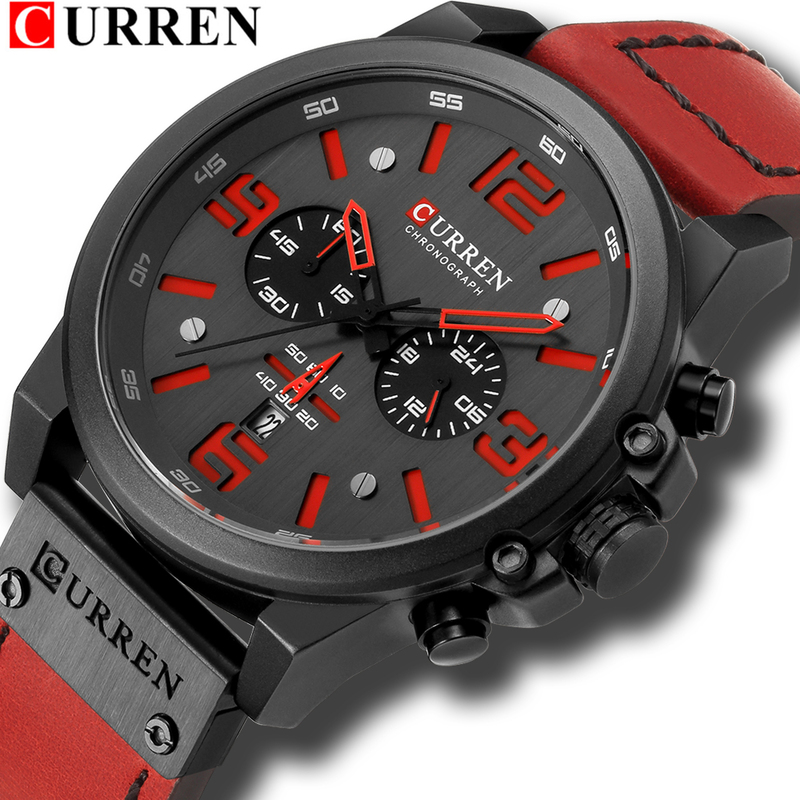 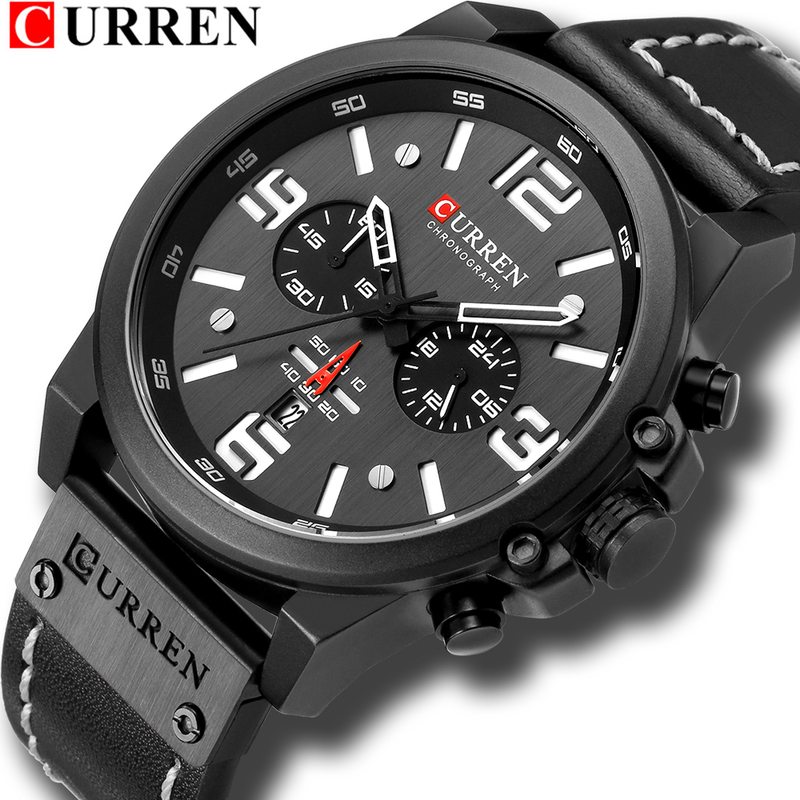 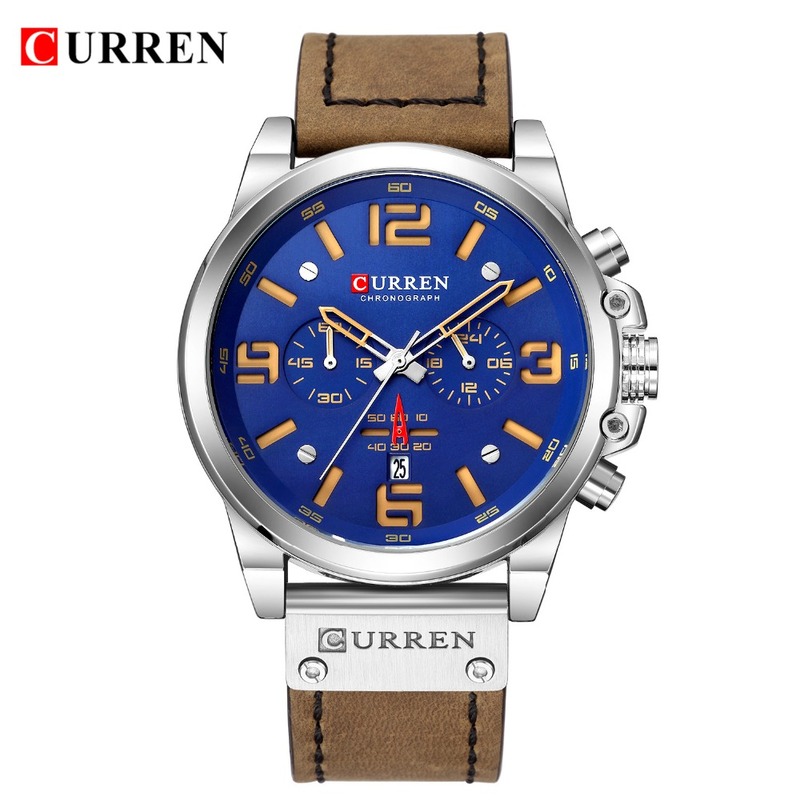 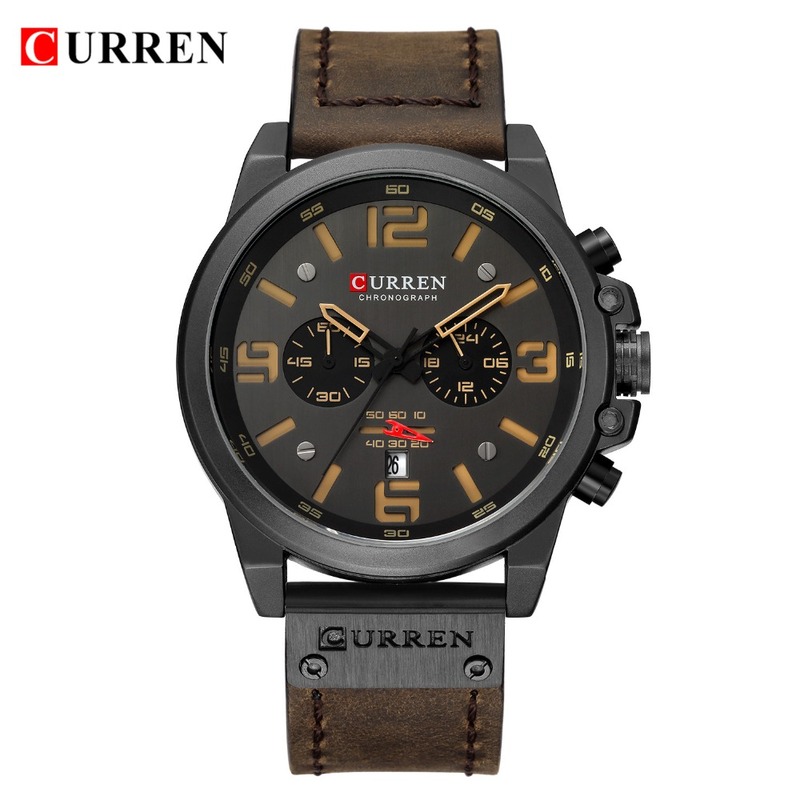 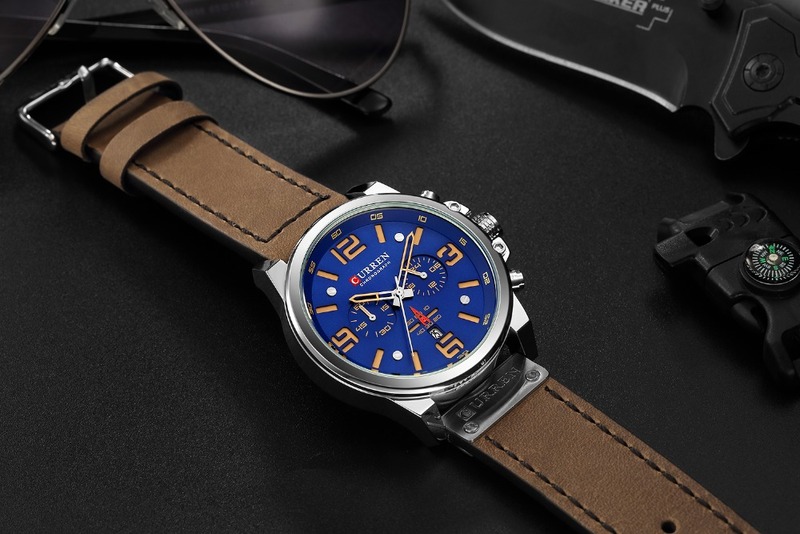 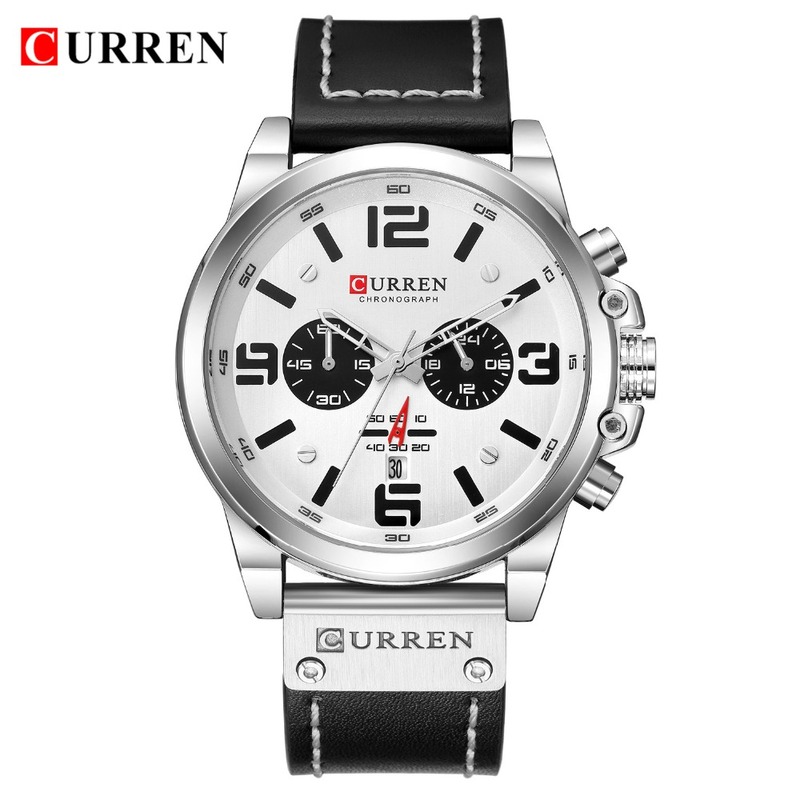 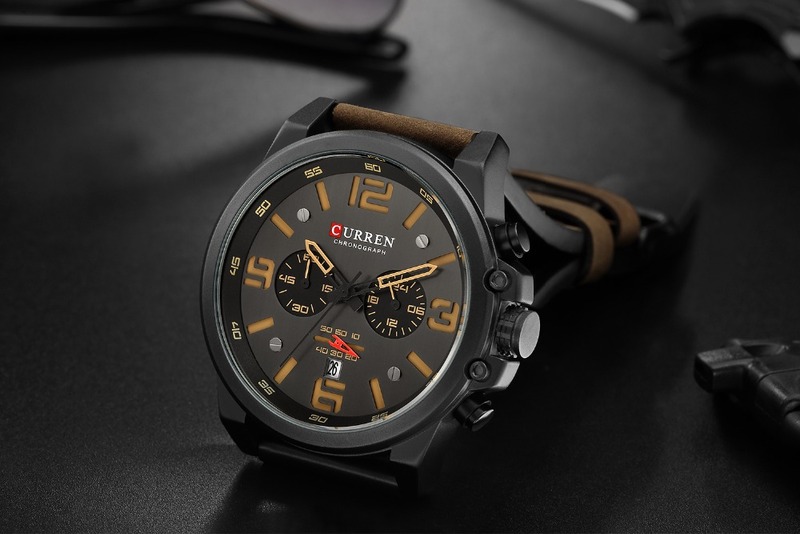 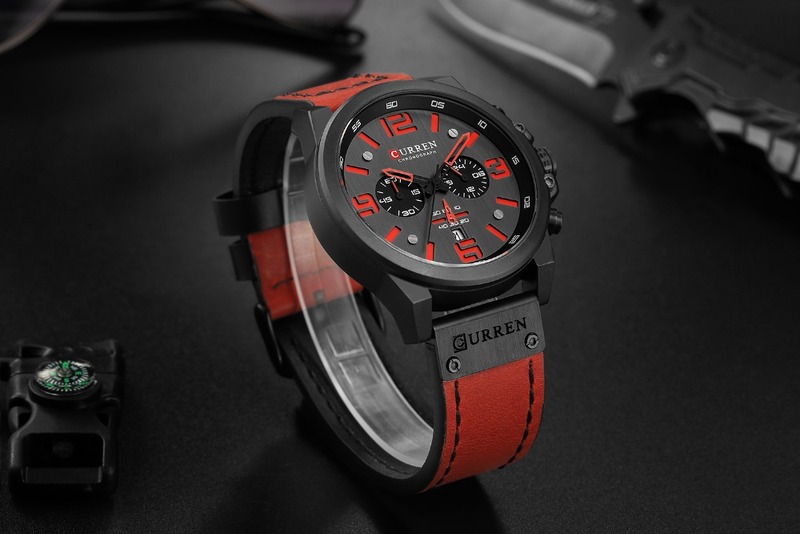 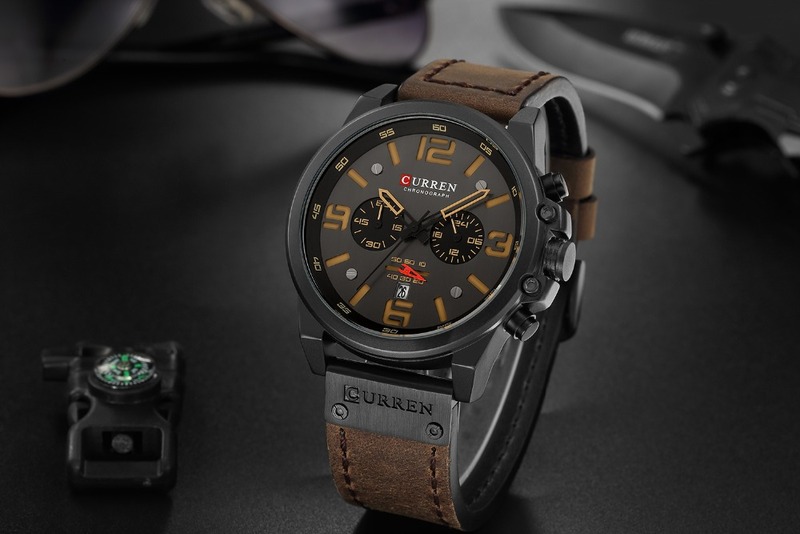 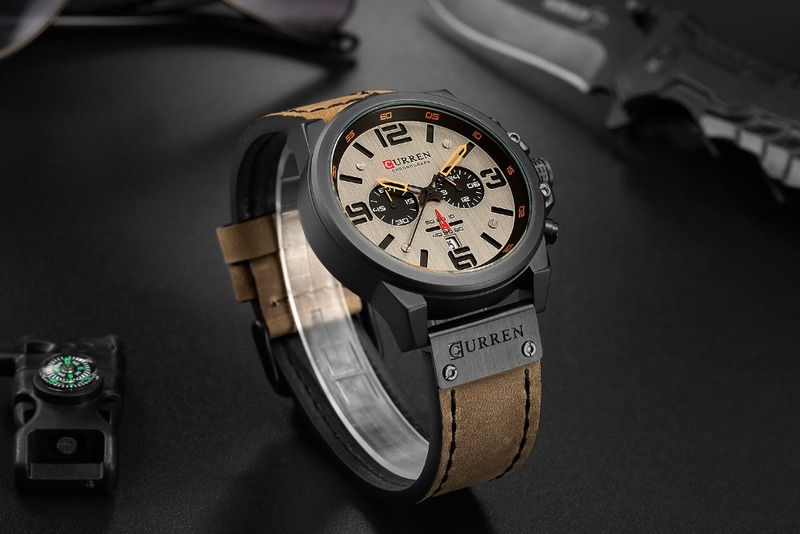 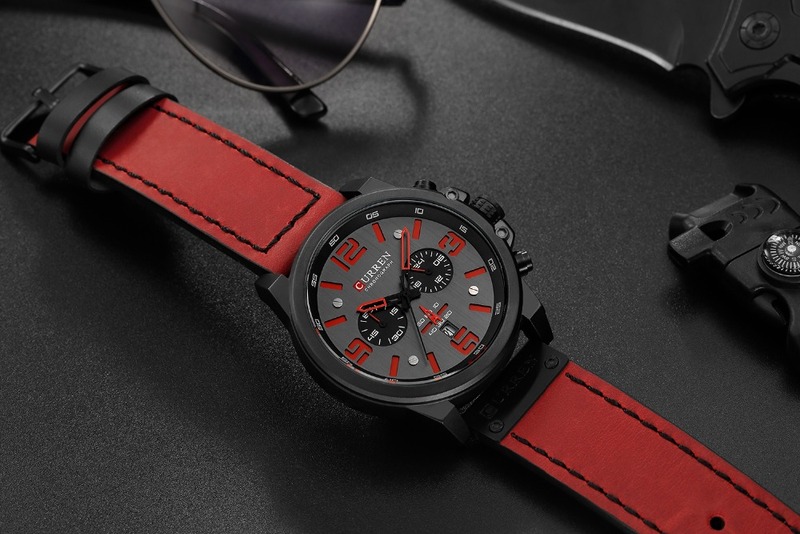 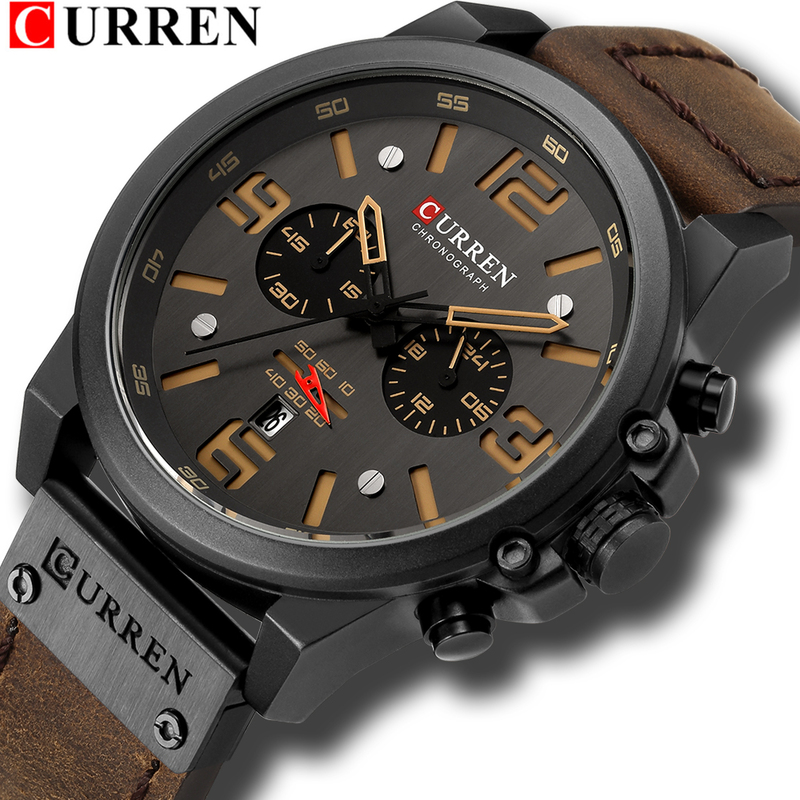 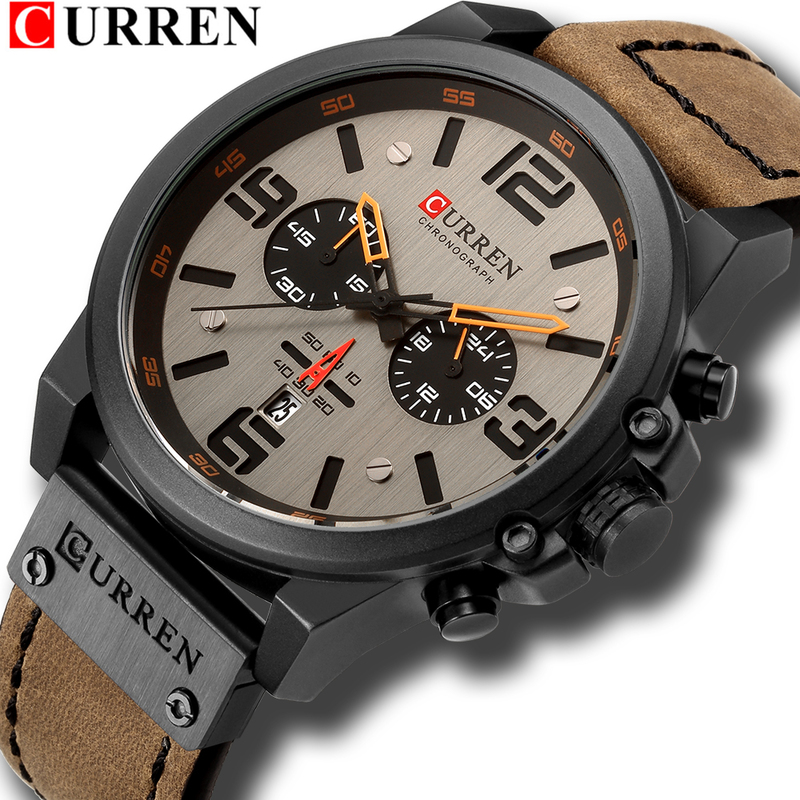 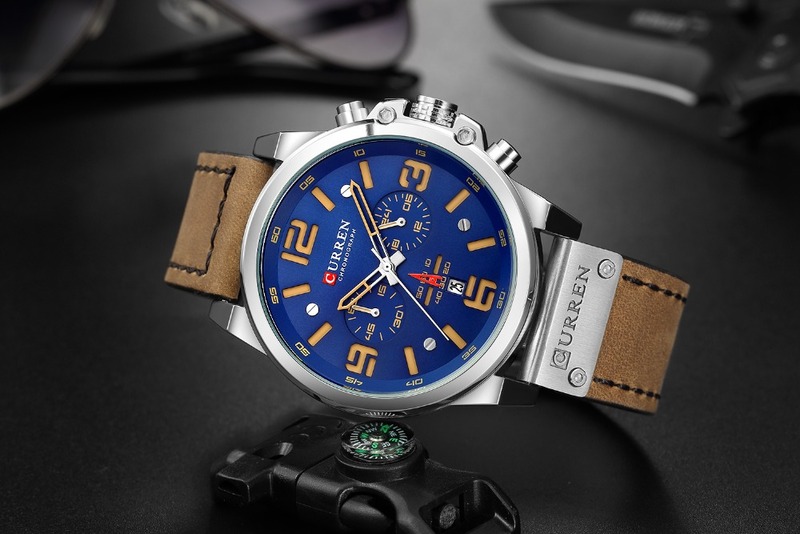 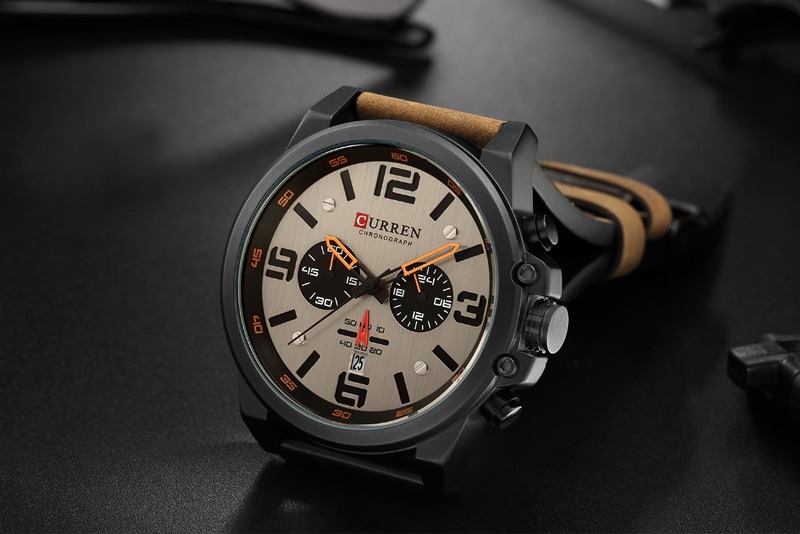 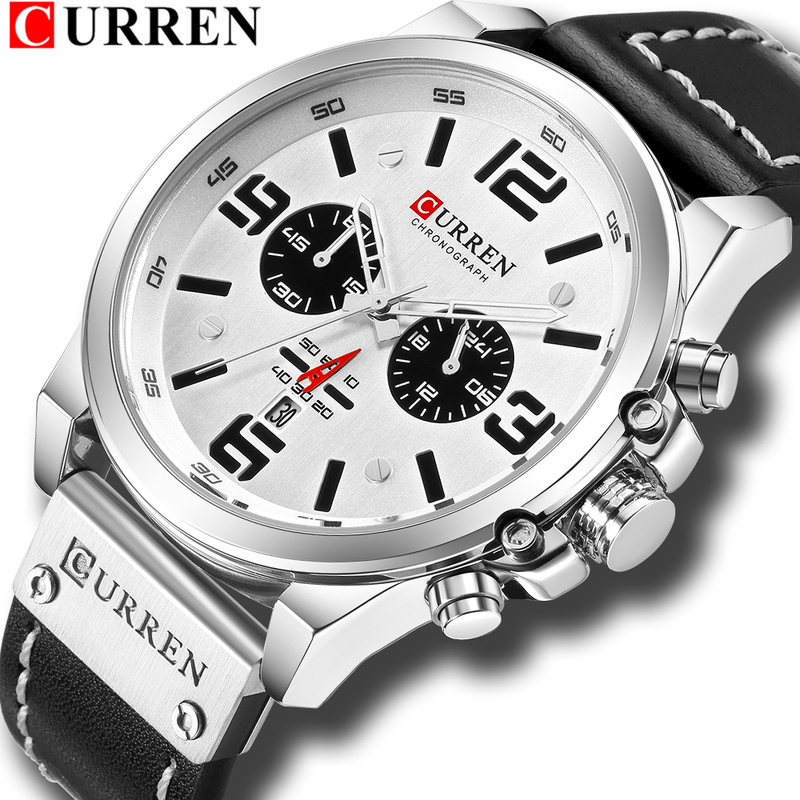 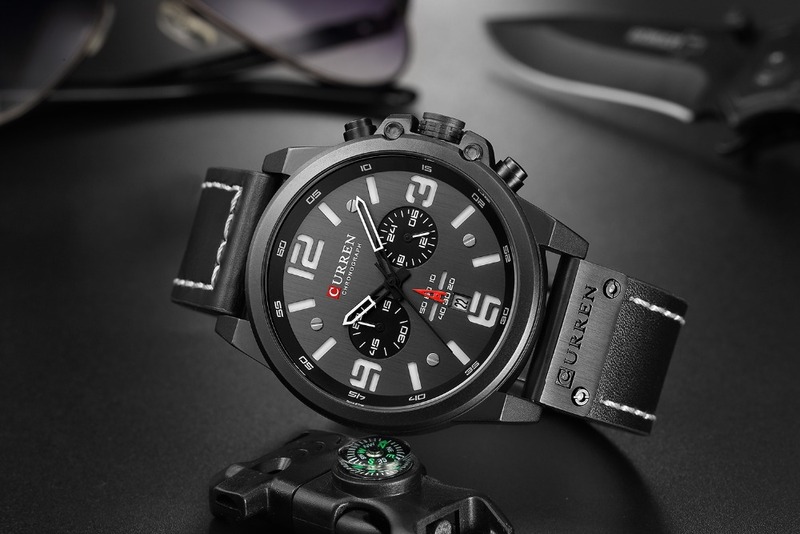 Luxury Brand CURREN Casual Quartz Leather Wristwatch Chronograph and Date Window Waterproof 30M. 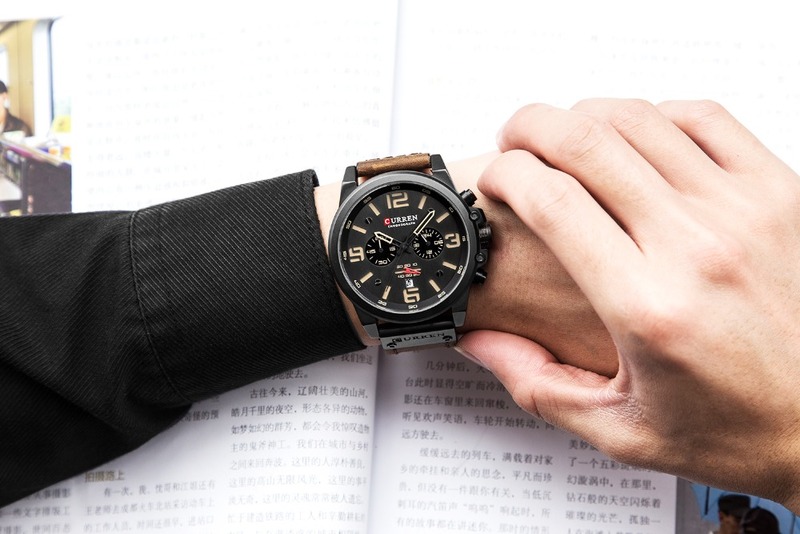 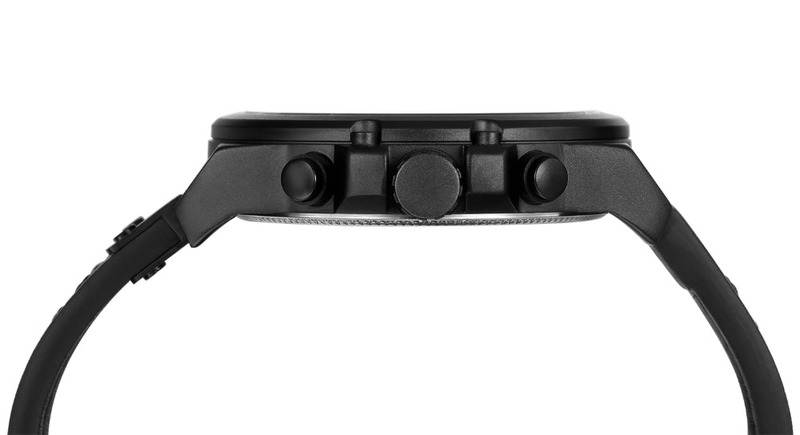 The watch waterproof 3bar can use to wash hand without hot/warm water, can't take shower, bath, swim etc.